A lawn that has developed a large amount of thatch or moss needs to be scarified to remove as much of this material as possible allowing the grass space to grow. Scarifying should be carried out on a regular basis. When there is a build-up of thatch in the lawn it will most probably have moss. This is because moss loves a moisture rich environment. Since thatch traps moisture and prevents it from getting through to the soil, scarification removes this thatch which is one of the main causes of moss in lawns. Having the thatch removed encourages new grass growth. 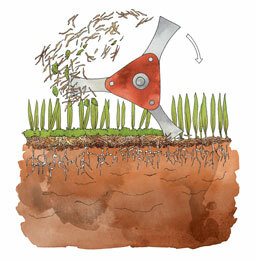 Aerating (or hollow-tine spiking) lawns allows better movement of air and water in the root zone. 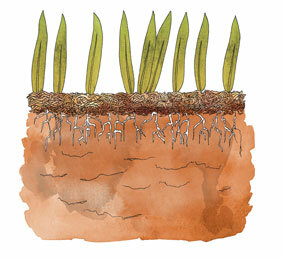 A well-aerated lawn will cope better in periods of drought and will reduce the likelihood of waterlogging. Heavier clay soil profiles, or areas that experience most wear and traffic are prone to compaction and will benefit most from regular aeration. Why does my lawn need a seed over-sow? 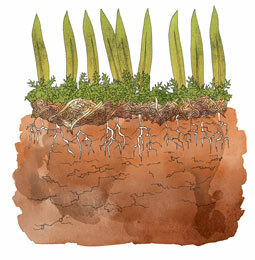 Over-sowing of new grass seed ideally either side of summer in spring or autumn time. Seed should not be sown during a heat wave or in frosty conditions. Any seed sown during the warmer months will need to be regularly watered. 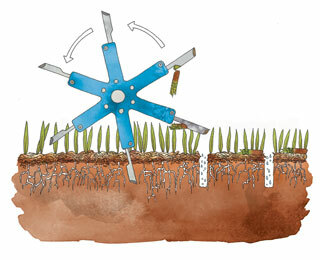 To increase the population of desirable grass species in your lawn. The adult Crane Fly has long legs with a body about 25mm long. Commonly active in the late summer to autumn period with each female laying 200-300 eggs. The eggs hatch into larvae, called leatherjackets within about 14 days and remain in the soil for about 9 months before pupating into next season's Crane Fly. The Leatherjacket exists in the soil from the autumn to the following spring in your lawn, by eating the stems of your grass plants. This results in the lawn beginning to turn yellow and die back in areas. Damage generally becomes noticeable during the spring caused by the feeding that occurred the previous autumn and winter. Secondary damage from birds, badgers, foxes, moles and other small mammals searching and pecking for larvae may become evident. 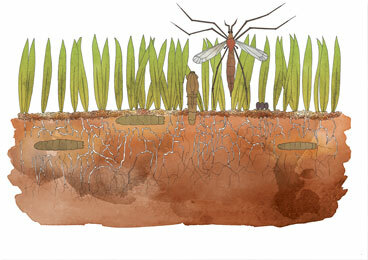 Keep a look out for Crane Fly activity throughout the late summer. Monitor your lawn in the autumn for larvae activity and secondary damage. Chafer grubs are the larvae of at least five different species of chafer beetle. These grubs live in the soil just beneath the lawn. Both larvae and adult beetles can attack the grass plant. Chafer grubs are C-shaped, soft white larvae, up to 40mm long with a brown head and six legs on the upper end of the body. Commonly active during the late summer to autumn period. 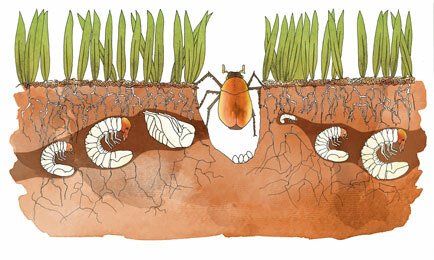 Chafer grubs feed on the roots, stems and sometimes leaves of the grass plant. The grass may appear yellow or brown before wilting and dying. 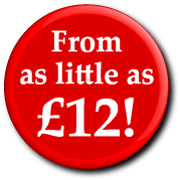 Secondary damage from birds, badgers, foxes, moles and other small mammals searching, pecking or digging for larvae will be evident on your lawn.